ATLANTA, Georgia — Nearly 9000 Americans self identify as lesbian, gay, bisexual, or transgender, which represents nearly 3.5% of the adult population.1 However, as many individuals within this group are reluctant to reveal their gender identify or self identify as something other (such as queer, questioning, intersex, two-spirit, asexual, and pansexual), this number is likely underestimated. As this population is at risk for such health conditions as alcohol/substance abuse, sexually transmitted infections, and psychiatric disorders, there is a need for culturally competent healthcare delivered in a safe and inclusive environment free of bias, judgment, or discrimination. To achieve this goal, a team of physicians from the department of psychiatry at the Bronx-Lebanon Hospital Center, in New York City, embarked on a quality improvement project aimed at assessing the basic knowledge of physicians-in-training in relation to the LGBTQQI2S community, as well as health risk factors and approaches to their management. Their research was presented at the 2016 Annual Meeting of the American Psychiatric Association (APA), in Atlanta, Georgia. Following approval from the Institutional Review Board, the team created an anonymous, 22-question assessment tool that was administered to 128 resident physicians from different specialty departments during a 6-month period. Results of the survey revealed that the residents lacked basic knowledge about the LGBTQQI2S community, including an inability to correctly define such terms as “sexual orientation,” “gender orientation,” and “gender expression.” Residents also demonstrated difficulty in choosing appropriate questions to ask patients about their gender orientation and gender identity. Only 12% of participants were able to identify health challenges experienced by gay men and lesbians, 14% of participants were able to identify health challenges experienced by trans people, and 25% of participants were able to identify health challenges experienced by elderly members of the LGBTQQI2S community. The researchers attribute the lack of resident knowledge of the LGBTQQI2S community to a paucity of appropriate education in medical school or during residency training. In addition, religious and cultural prejudices may limit exposure of medical students and residents to members of this population. Although guidelines currently exist to address disparities in care, the authors propose that “improving a provider’s essential knowledge of the LGBTQQI2S community may lead to increased awareness and sensitivity, decreased discrimination, and improved overall medical care,” all of which contribute to a welcoming health environment that is inclusive of all people. 1. Gates GG. 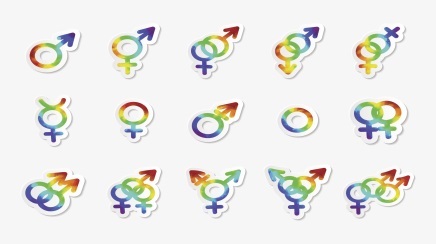 How many people are lesbian, gay, bisexual, and transgender? The Williams Institute. Available at: http://williamsinstitute.law.ucla.edu/wp-content/uploads/Gates-How-Many-People-LGBT-Apr-2011.pdf. April 2011. Accessed May 14, 2016. 2. Rivolta JA, Zeshan M, Hanif A, Korenis P, Gonzalez L. Seeking a better outcome: A survey about LGBTQQI2S Knowledge. Poster presentation at: 2016 Annual Meeting of the American Psychiatric Association; May 14-18, 2016; Atlanta, GA. P2-016.